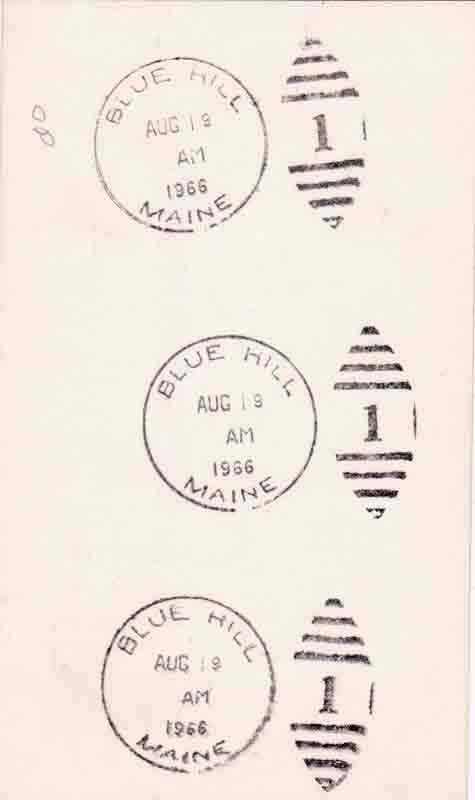 The circular postmark is approximately 30 mm in diameter. 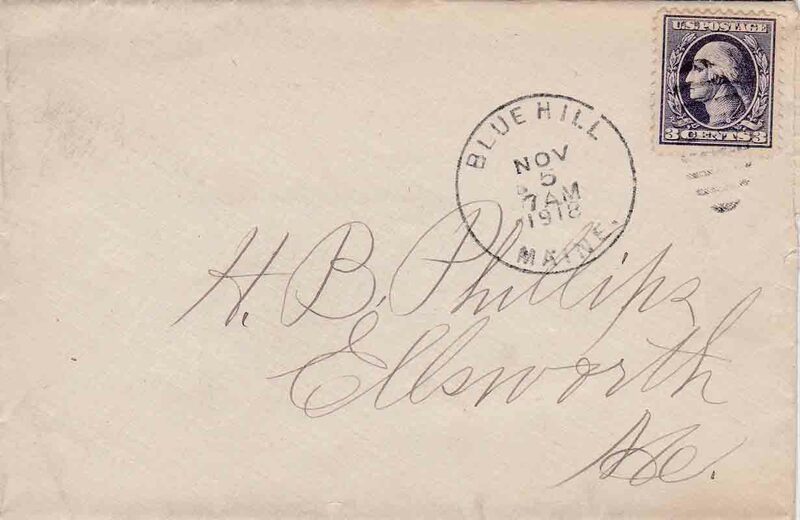 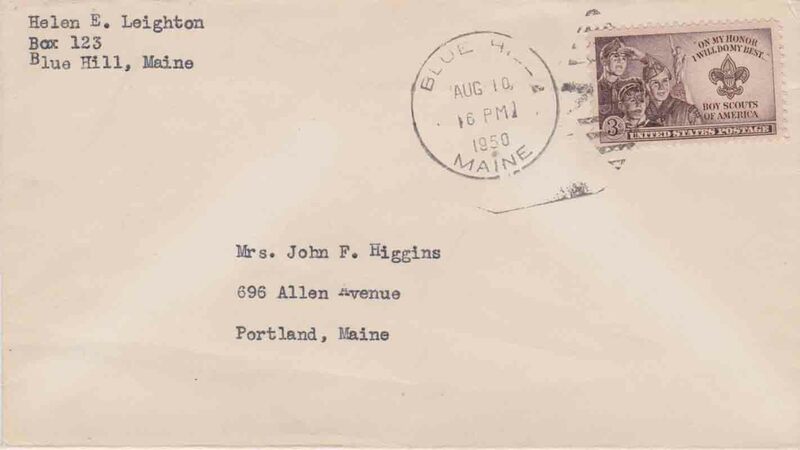 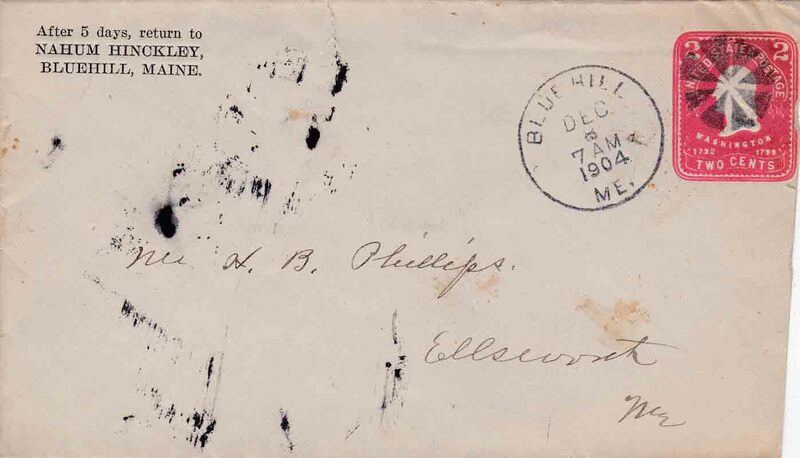 The elliptical cancellation at the right of the postmark is approximately 33 mm tall and is composed of four bars above and four bars below the numeral (only "1" found to date). 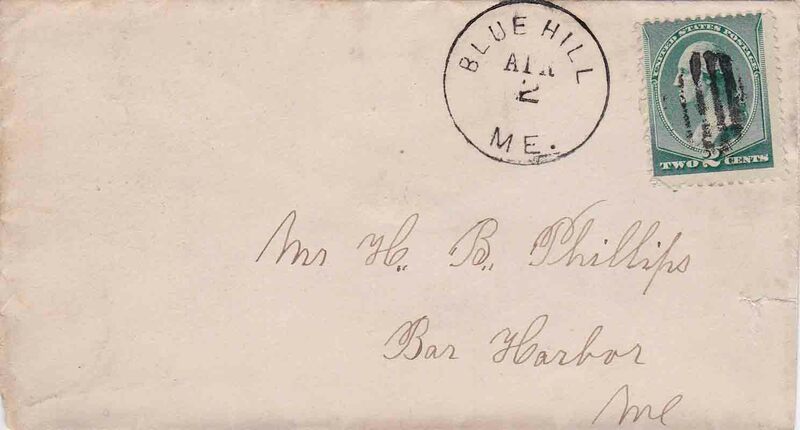 Blue Hill post office is still in operation. 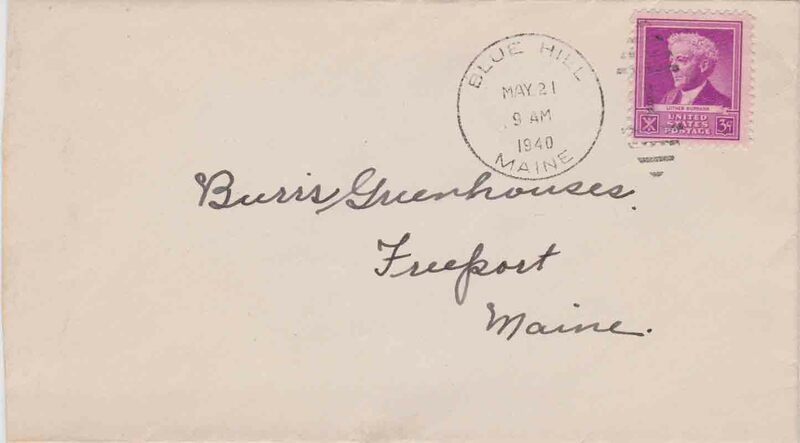 East Blue Hill post office is still in operation.